Reiki is an ancient Japanese system of healing that promotes deep relaxation and well-being. It is based on the notion that an unseen energy flows through all living things and directly affects the quality of a person’s health. Reiki energy allows muscles to relax and increases blood flow to treated areas, which in turns quickens the healing process. Practitioners and clients report help with stress, headaches, insomnia, upset stomach, sprains, and back aches. Occasionally, miraculous results are reported. Reiki also promotes psychological healing and the release and balance of various emotions. A new trend in yoga is to combine wellness services and yoga in various ways. Reiki can be easily integrated in a regular yoga class during Savasana or while participants hold poses. It can also greatly enhance a Yin or Restorative Yoga class due to the longer hold times. “Restore & Heal” events have been very popular with members in many yoga studios. Reiki is a wellness service that your members will enjoy on its own at your studio. It provides a means for yoga teachers to earn extra income when attendance slows down at certain times during the year. It is also a very useful self-care tool for practitioners. Putting together a “Restore & Heal” event that combines Reiki, restorative yoga and the chakras, including a complete class outline. Upon completion, you will receive a professional certificate as a Usui Reiki Level 1 Practitioner. The certificate will be accepted at insurance companies for liability coverage as well as at various Reiki Associations should you wish to become a member. As a Certified Level 1 Reiki Practitioner, you will have access to our Monthly Reiki Share to help you develop your skills and also to receive Reiki from others. Having the ability to channel Reiki will become a great asset for your yoga students, your own wellness, and also, for your loved ones and friends whom you will be able to assist when they need it. 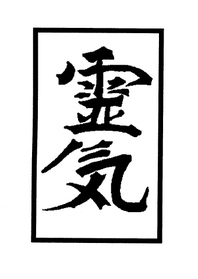 There are no pre-requisites or special talents required in order to learn Reiki. Reiki myths and other handouts. Includes certificate and 179 page manual. Already took this level with Suniti (Daniele Hart)? Re-do this level at 25% of the cost. Already took this level with another Reiki Master? Re-do this level, and take 10% off. This is a powerful and transformative class. Once reiki enters your life, it is guaranteed that it will not be the same. Reiki is a gift that lasts a lifetime. It will always be available to you, no matter how often you use it. Recommendation: Following this class, it is highly recommended that students attend a monthly reiki share to gain further practice with reiki. Please contact Daniele Hart for more information.